What is the best dog food for puppies? Growing puppies have different nutritional needs compared to fully-grown adult and senior dogs. For this reason, it’s important to choose a highly nutritious puppy food specifically formulated for young dogs. Unlike adult dogs, puppies have lots of growing to do; most of a dog’s growth occurs during their first year of life, though large breeds may continue to grow until about 2 years of age. Here are tips for feeding your puppy and choosing the best food for your dog. Your puppy should eat three smaller meals spread throughout the day. More frequent meals will help supply a steady stream of nutrition which is especially important for extra small puppies to help prevent hypoglycemia. A sudden drop in blood sugar for a small, young puppy can be very dangerous and make it difficult for them to regulate their body temperature. Frequent meals will also help keep your dog, regardless of their size, from overindulging at meal time and facing potential tummy troubles. Choose a high-quality puppy food. 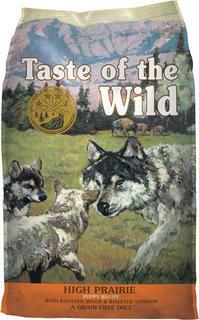 Choose a puppy food based on your dog’s expected adult size. The following are 6 of the best puppy foods based on several reputable online review sites. 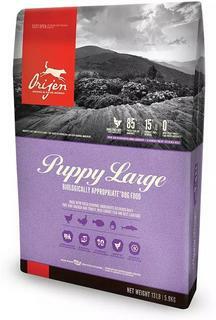 Boasting a 38% protein content, Orijen’s puppy foods are made up of fresh and raw meats, a variety of protein sources, as well as fruits and vegetables for a nutritionally complete meal. These grain-free recipes are formulated for all puppy sizes and contain a minimum of 27% protein. Choose between an egg-free fish-based formula or a formula featuring land-based animal protein, including buffalo and lamb. With a minimum of 33.5% protein, these puppy food recipes are made with minimally processed, cage-free chicken and are free of grains, corn and by-product meals. 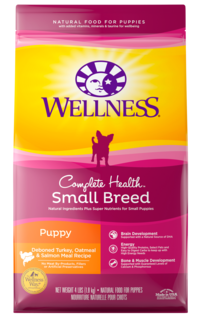 Featuring 28% protein, this turkey-based puppy food is formulated specifically for small dog breeds. 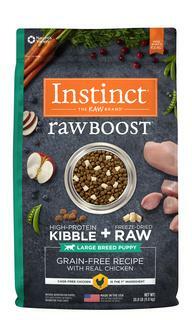 It is chock full of fruits and vegetables to provide balanced nutrition for a growing puppy. 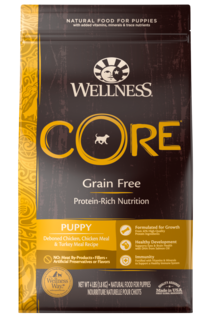 These protein-rich puppy formulas are grain-free and consist of 35-38% protein. The large breed formula features balanced levels of calcium and phosphorus for healthy growth. 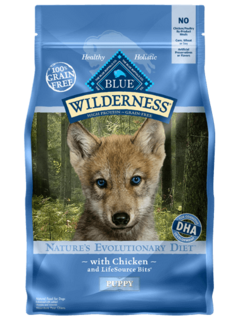 Blue Buffalo’s grain-free recipes support proper development, contain 32-36% protein, and are free of by-product meals, corn, wheat, and artificial preservatives. As your puppy matures into an adult, you’ll want to transition him to an adult formula. The age at which you transition your puppy to adult food will depend on his breed and size but can be between 10 and 24 months of age. Consult your veterinarian on ideal timing and how to switch to a new food. Here are some of the best dry dog foods and best canned dog foods to consider for your pet.